Its versatility enables writing on surfaces such as metal, plastic, glass, and fabric without losing its vivid color. 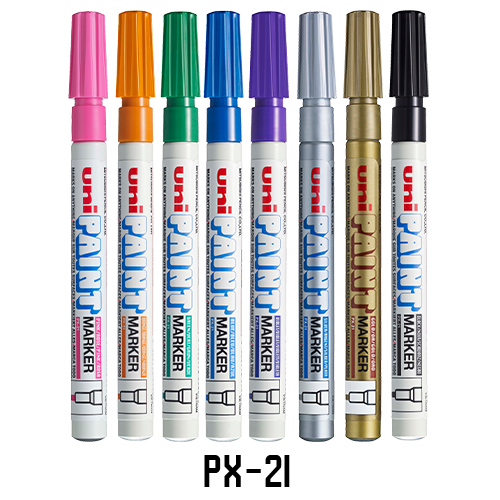 The most trusted and popular marker used in virtually every country. Extensively used by professionals and industrial manufacturers. Does not contain sulfur, chlorine, silicon etc. Waterproof even after writing. Ink doesn’t run even when used surface is heated. Colors: Pink, Orange, Green, Blue, Violet, Silver, Gold, Black.